Parineeti Chopra and Ayushmaan Khurrana could be probably seen together in the upcoming movie from Yash Raj films, ‘Meri Pyaari Bindu’. According to the reports, Parineeti has finally signed her new contract for a Bollywood film after a break. 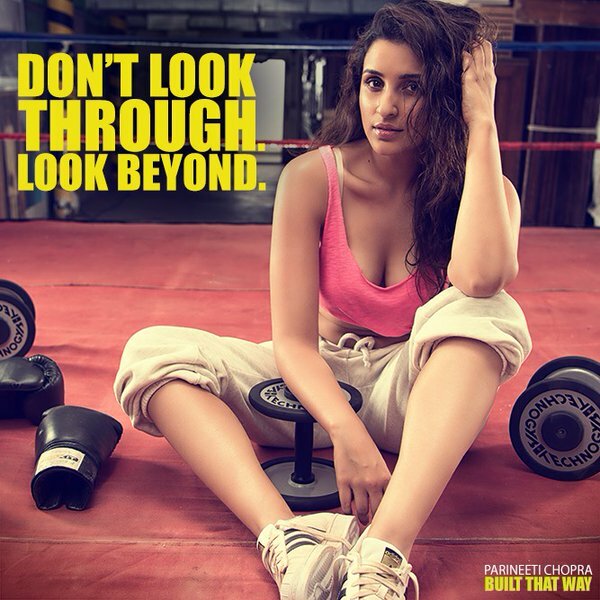 In a video uploaded by Yash Raj Films, Parineeti could be seen in a hot new avatar featuring after her workout. She was singing like ‘Mana ki hum yaar nahi, yeh kehke pyaar nahi.. fir bhi najre tum milana, dil ka aitbar nahi’ it looks like that she is going to sing her first song. Akshay Roy who is entering in his career is the director of the movie. She claims that the director has insisted on singing herself. Although Ayushmann Khuranna is also one of the finest singers in the industry. And he could be featured singing his songs, which he loves do always. It would be interesting to see when Bollywood diva, Parineeti Chopra’s voice will meet the guitar chords of Ayushmann Khuranna. Punjabi touch in the film is much expected because of actors niche. Although in ‘Mana ki hum yaar nahi’ we can clearly notice that there is no auto pitching, which would be a positive for the film. Parineeti is singing very well and she could definitely nail it with her skills.